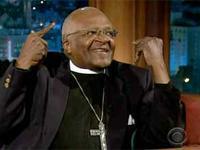 Archbishop Desmond Tutu showed up for an improbable, unprecedented visit to CBS's "The Late Late Show with Craig Ferguson" Wednesday. It's the show the Ferguson folks should submit for Emmy consideration this year -- and it's also the show that should end all sensible speculation regarding the late-night TV wars. 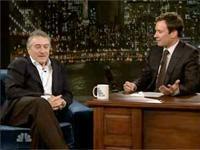 I have seen the future of late-night TV, and his name is Craig Ferguson..